Each subsequent information from the Grinding Gear Games camp evokes in me - I do not know if you have one - a feeling of disbelief that such a nice "player", which is still a New Zealand company, has so much enthusiasm for work. 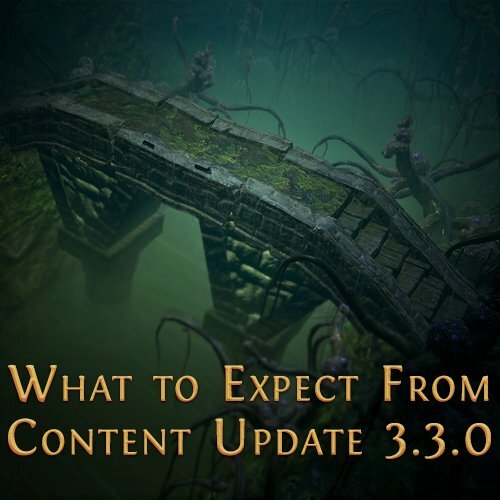 We just got to know a few details about the 3.3.0 update, which is scheduled to start on June 1 (the perfect gift for Children's Day). This is supposed to be a patch / league, which will be based on PoE foundations, i.e. killing monsters, gaining experience and collecting items (as examples are given Breach and Ambush). Grinding Gear Games wants to get back to the roots, which is why it has already been mentioned - is preparing a huge revamp of skills (Trappers will be useful again) to enable us to continue development. 3.3.0 will be a huge undertaking, much bigger than previous leagues and updates. The key task is to look for the methods of making PoE Orbs buy faster. And how to level character quick and safe. If you would like to buy the service, U4GM store will be your best choice. However, this is nothing compared to the next add-on that will hit "later this year". For now, nothing is known about him, except perhaps that he will be as big as Ascendancy or The Fall of Oriath. Six new acts? I would not be such an optimist, but apparently GGG has something equally spectacular in the circuit. Premiere probably after the holidays. With current items, GGG still intends to improve the Bestiary League and introduce further smaller news. It will not change.